Lai Fong is a Consultant specializing in Technology, Consumer Products & Services, and Professional Services. She is also responsible for Leadership Assessment in the Singapore office. Lai Fong began her search career specializing in IT senior management, technical consulting and sales roles. To date, she has also extended her reach in the luxury goods retail, hospitality and education sectors. 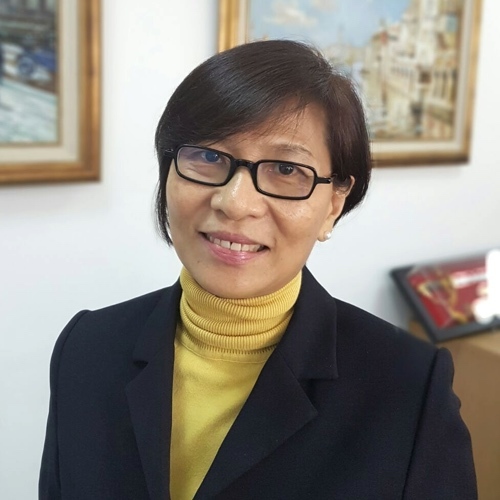 Prior to joining the search industry in 1998, Lai Fong already had vast experience in the IT field, working in the public sector as well as multi-national corporations across the South East Asia region. She specialized in IT systems design, IT strategic planning, and integrated solution sales and consulting. A certified Executive Coach, and Gallup certified Strengths-Finder Coach, she co-founded CoachNetworks Pte Ltd (2008) and Blue Ocean Strategy Singapore (2010). Through the coaching platform, she broadened her skill set and experience in engaging clients in strategic conversations on business needs, and the ability to utilize relevant leadership assessment tools to facilitate the process of bringing awareness, and uncovering talent in individuals as well as teams. Her natural talent in connecting people to ideas, opportunities and choices makes her a good business partner. She is valued by her clients for her creativity, thoughtful solutions, and strategies to address complex and difficult challenges. Lai Fong graduated with Bachelor of Science (Computer Science) from the New South Wales University, Australia.